International law firm HFW has appointed Alistair Feeney as the new head of its commodities group and a board member as part of a slew of promotions. Feeney has been a partner at the firm for more than 19 years and is based in London. 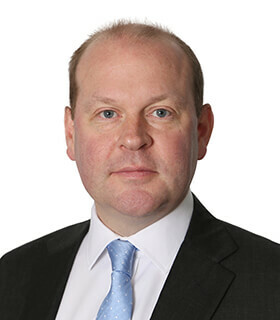 He replaces fellow partner Peter Murphy, who remains with the firm, and first joined in 1998. The firm has also appointed nine new partners from its Europe and Asia Pacific offices across all six of its focus-sectors: aerospace, commodities, construction, energy and resources, insurance and reinsurance and shipping. Among the nine is Paris-based commodities disputes specialist Vincent Bénézech, who has made partner after 11 years with HFW. His promotion brings the firm’s commodities practice up to 25 partners with more than 90 lawyers in the Americas, Europe, the Middle East and Asia Pacific. The team provides advice in all areas of the commodities sector, including physical supply, transportation, derivatives, finance, digital trade, insurance, operations, compliance, sanctions and regulation. Of his appointment, Feeney says: “I am proud to have been elected to lead the commodities group. We have a great team of lawyers with unrivalled sector knowledge, and the privilege of working with market-leading companies across the range of the commodities. The promotions follow HFW’s election of a new global management team at the start of April, with Jeremy Shebson named as the firm’s new managing partner and Richard Crump re-elected for a new term as global senior partner. Shebson replaces Marcus Bowman, who has retired after more than 30 years at HFW.